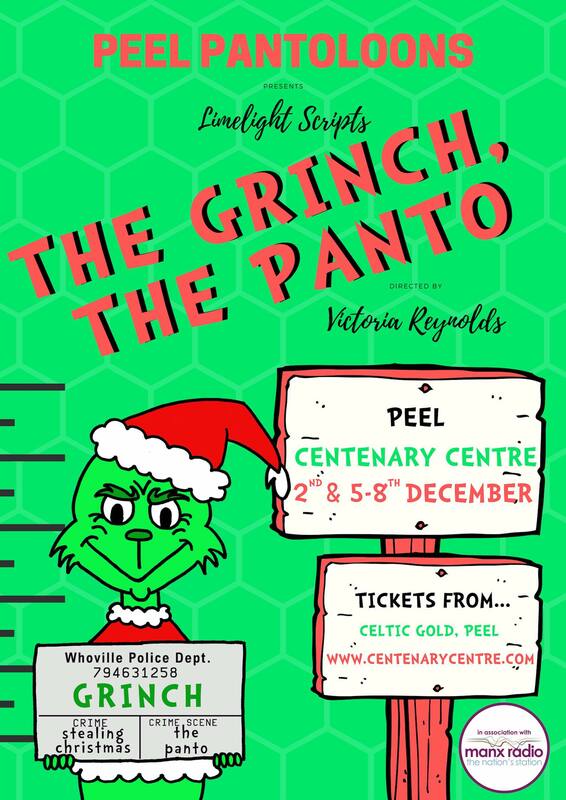 This year sees the Peel Pantoloons in the town of Whoville for their production of The Grinch, The Panto. Christmas celebrations are underway in Whoville but overshadowing the celebrations is the fear of the return of the Grinch. When their fears finally come to pass, it’s up to the Mayor, Colin the Cheermeister and Nora and Annie Good to find help in the most unusual of places. A magical journey to the North Pole to visit Santa and his Chief Elf, Widget, followed by a skidoo trip to the Snow Queen’s palace to seek the assistance of the Snow Queens imps. This year’s show is a heart-warming tale that proves that the Spirit of Christmas can conquer all, with a little help from Polly Watt. Come and join the Peel Pantoloons for this year’s festive Christmas pantomime. Tickets are £8, available online or from Celtic Gold in Peel.